Able Muse Press, 9781927409435, 218pp. 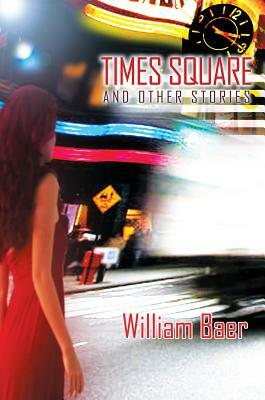 "TIMES SQUARE AND OTHER STORIES, William Baer's twice-measured fictions, channel the reflecting reflections of James and Borges back into our self-conscious consciousness. Like the four-story signs plastering the 'real' Times Square, these signs sing themselves, maps as detailed as the things they represent. These fictions resuscitate Poe's unities of effects, breathing life back into the simulacrum of life. I loved this book; it can't help but blurb itself " Michael Martone.